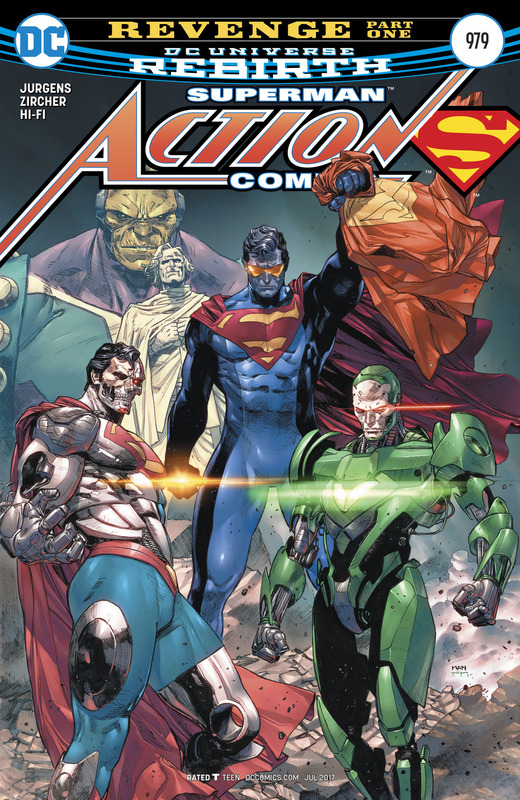 This week in Action Comics # 979, we get the return of a classic “Death of Superman” era villain to further complicate Superman’s life. It’s the return of the “Superman Revenge Squad” and its definitely a collection of some of the baddest villains Superman has ever faced from the pre-New 52 era. Definitely that’s one big thing to like about this arc. 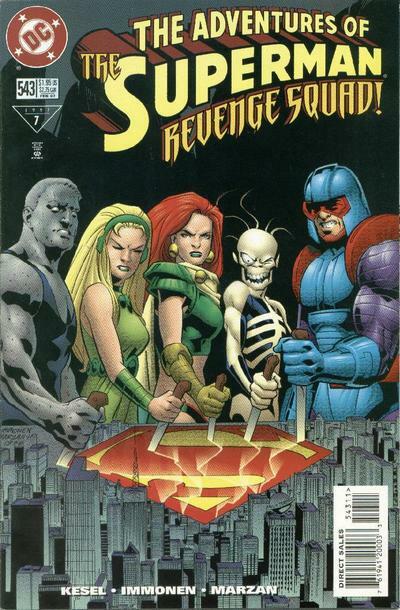 As opposed to the old Superman Revenge Squad that had one or two power players and the rest are just pushovers. We also have another cover that pretty much spoils the returning baddie. 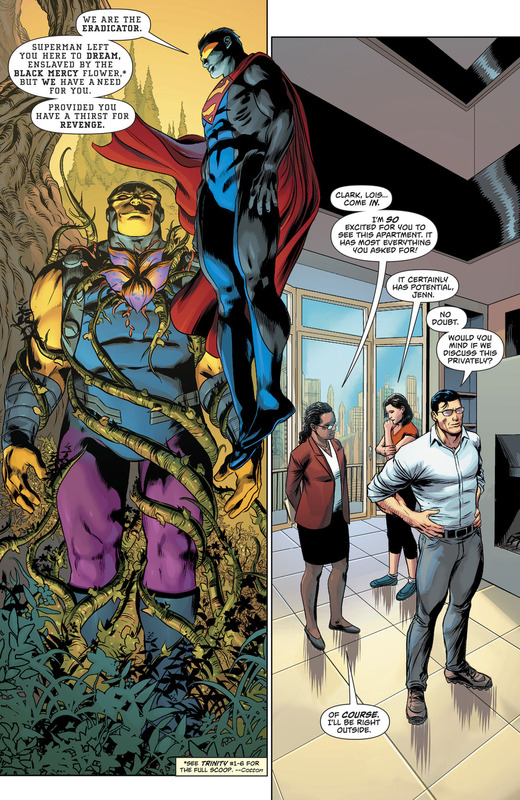 This issue begins with The Eradicator reaching Mongul who Superman left with a Black Mercy attached to him. 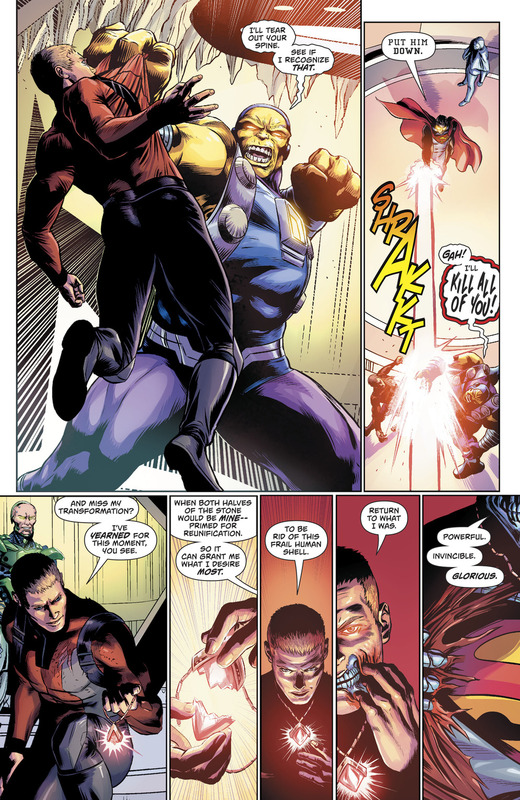 Eradicator frees Mongul and recruits him to join this new “Revenge Squad”. 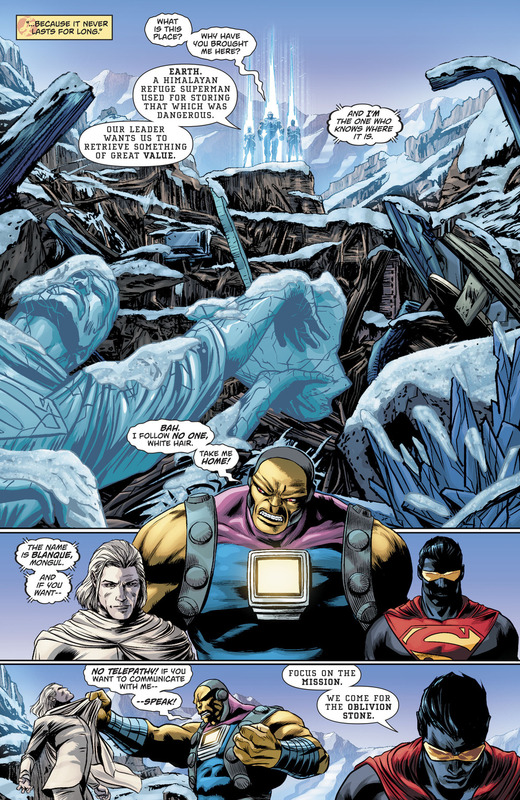 They also took on a sidetrip in the Himalayas to take something that was once stored in New 52’s Superman’s Fortress of Solitude. 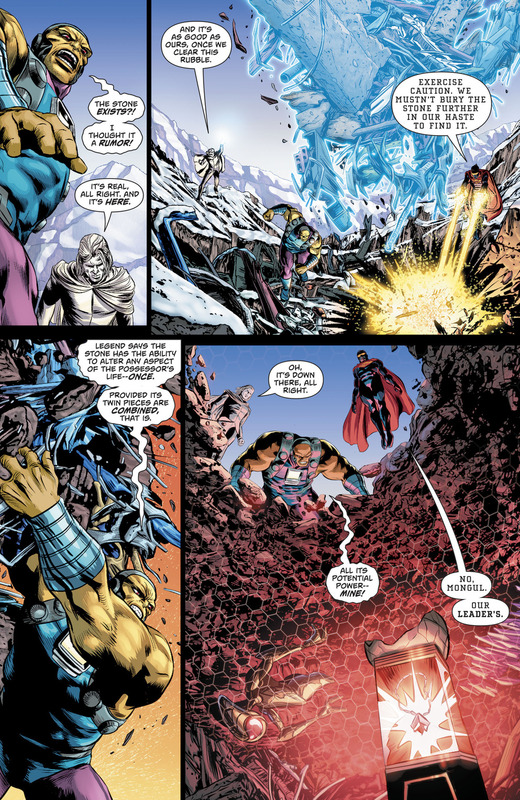 On the way there, Eradicator and Mongul also bring along the Superman baddie Blanque. 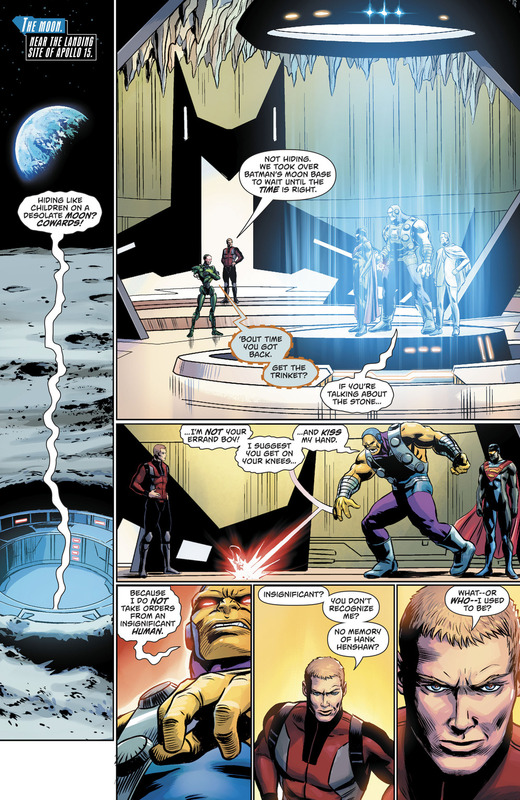 Its also revealed Eradicator, Blanque and Mongul are looking for the so-called Oblivion Stone. 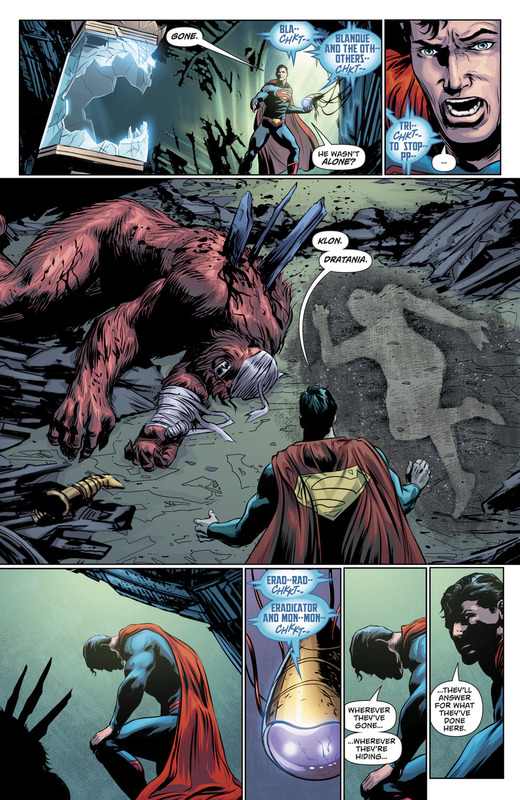 When Superman finally arrives to the Fortress, he stumbles upon this grisly scene. We return to the Superman Revenge Squad who have turned Batman’s not-so-secret moonbase into their hideout. 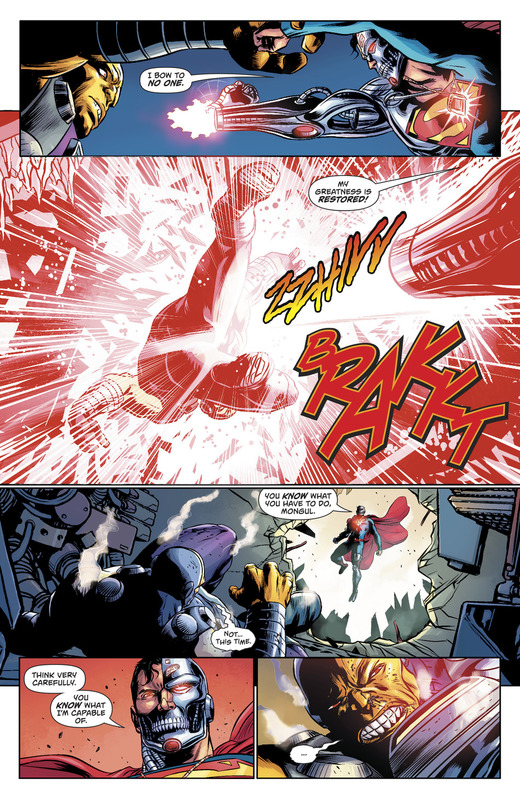 Remember this was where Superman beat Eradicator in the first story arc for DC Rebirth’s Superman. 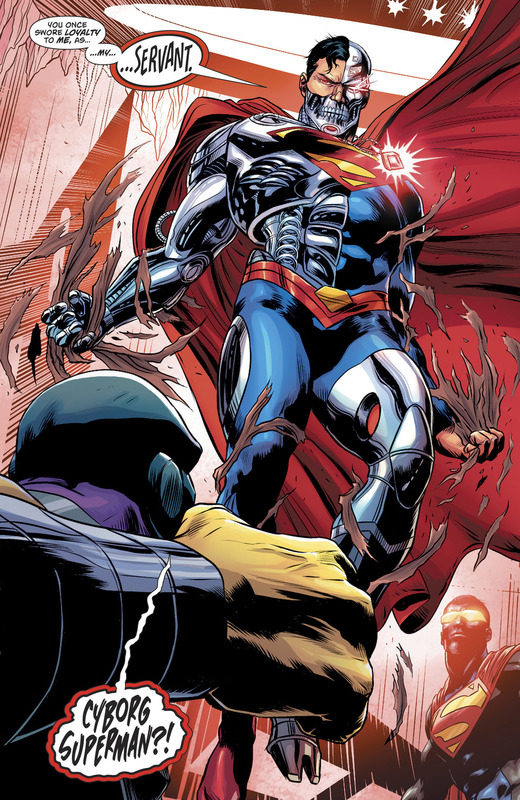 Henshaw returns to his Cyborg Superman form. 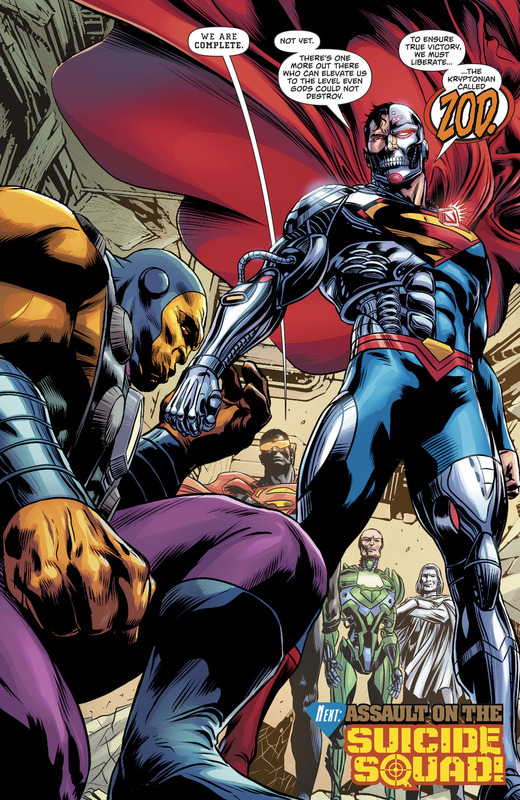 Mongul and Cyborg Superman bring their beef back from the “Return of Superman” arc so many years ago and they fight. 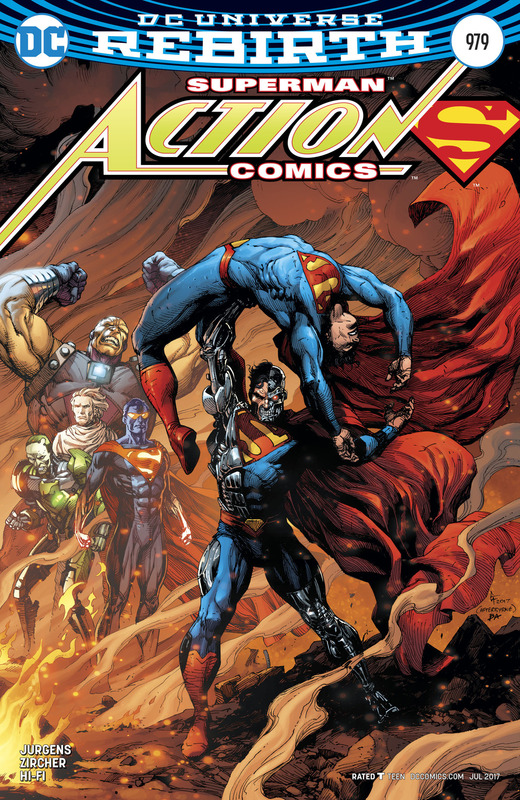 Action Comics # 979 was written by Dan Jurgens with art by Patrick Zircher.